Anyone involved in a car restoration project needs to make an important decision before turning that first wrench: What is the intended use of the car when it’s done? When Bill Martin of Rootes Group Depot began putting Dave and Honor Stone’s 1967 Sunbeam Tiger Mark II back together, the decision was made to bring the car back to its original, showroom condition. Short of firing up the time machine, Bill did everything possible to get the car back to square one. Bill’s marching orders from the car’s owner were simple: “I want the best, most accurately restored Tiger on the planet.” And that’s what he received. 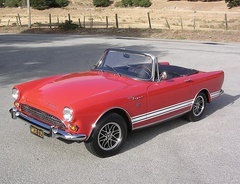 While the story of how Carroll Shelby created the mighty Cobra from the once-humble AC Ace has been standard reading material for all car-buff high school students since 1962, the details behind the genesis of the Sunbeam Tiger aren’t always so well known. Where Shelby was the spark behind the Cobra, measuring the Ace’s engine bay and determining that it would accommodate a V8 to form the basis for a world-beater, in the case of the Tiger it was officials with Rootes, Sunbeam’s parent company, that actually came to Shelby asking for help. Sunbeam had offered their Alpine sports car since 1959, but while it had sharp styling and some cool tail fins, it wasn’t exactly setting the market on fire. The competition from English rivals like MG and Triumph offered more powerful engines and the prestige that followed. Rootes needed something extra if their Sunbeam sports car was going to work, especially in the vital U.S. market. 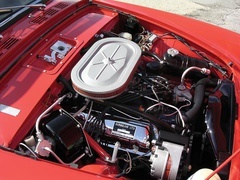 The Cobra caught the eye of Rootes officials, and Ian Garrad, the company’s West Coast manager, asked Shelby if something similar could be done with the Alpine. Shelby said yes. For $10,000 and a cut of future sales, he agreed to build a prototype. A massaged firewall allowed Shelby’s people to replace the Alpine’s standard inline four-cylinder engine with a 260-cubic-inch Ford V8. 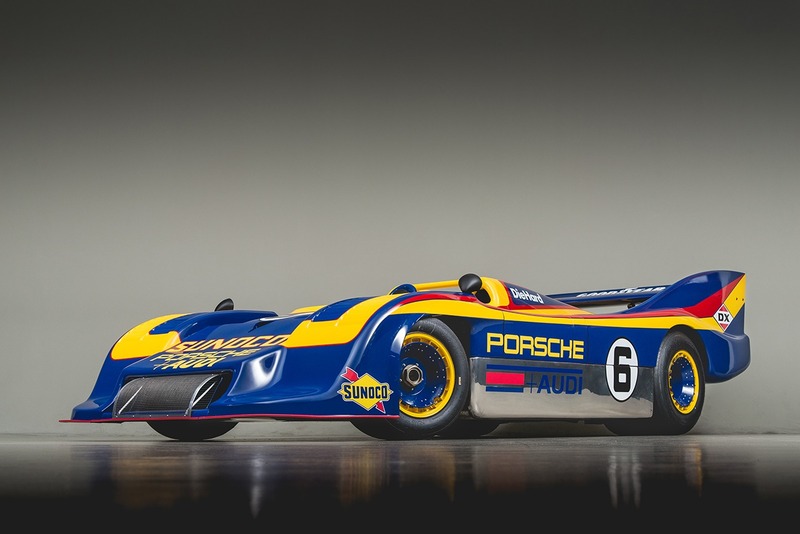 A T10 four-speed transmission would harness the increased power, while the conversion also included rack-and-pinion steering, a Salisbury differential and dual exhausts. The prototype was shipped home to England for an evaluation, where it was deemed a winner—even though Lord Rootes, the chairman of Rootes, forgot to release the parking brake during his test drive. A second prototype, built by Ken Miles, further proved that the swap would work. The Rootes engineers began the process of putting the car into production, and the first Tiger left the factory during April 1964. Production of this Mark I car lasted until August 1965, with 3763 examples built. The slightly revised Mark IA took over that August, and while the 260 V8 remained under the hood, there were a few minor changes including new squared-off door corners and unfilled body seams. Rootes built 2706 examples of the Mark IA, with production ending in February 1966. The Mark II didn’t become a reality until the very end of 1966, but the wait was worth it: The 260 was replaced by Ford’s new 289. Some outside details also separated Mark II cars from the earlier ones, including an egg crate-style grille and stainless steel rocker panel molding. 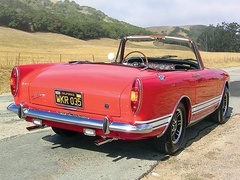 The Mark II would turn out to be the rarest production Tiger, as only 536 were built before the run ended in June 1967. By that point, Chrysler had bought the Rootes Group—and selling a car powered by Ford left them with more than a little egg on their face. Since Chrysler didn’t have a V8 that properly fit inside the Alpine sheet metal, the project’s plug was pulled. Including prototypes, 7085 Tigers were built; less than 10 percent were Mark II cars. 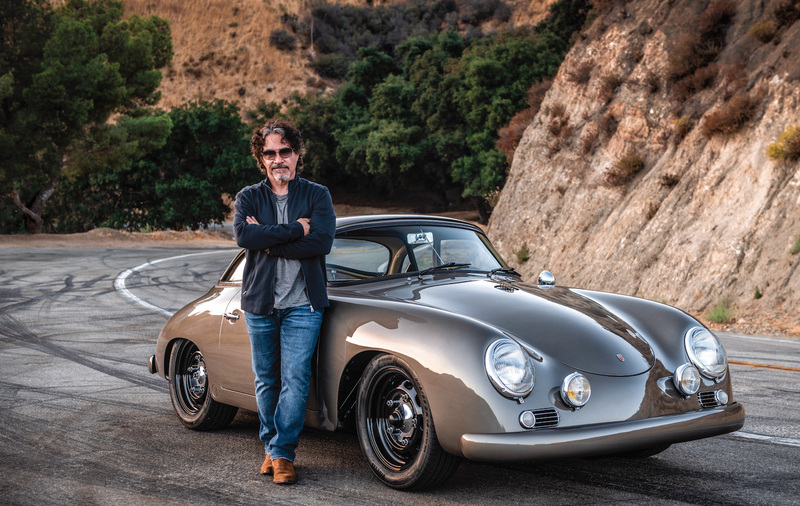 Even though Dave Stone’s Tiger was a totally stock, one-owner survivor when he purchased the car some 15 years ago, the restoration process still wasn’t easy—he was after perfection. And he was willing to wait for the job to be done correctly. Before Dave bought the car, it had been used infrequently for some time and was sitting in a storage garage. There was no rust present, and the only blemish on the body was one fender ding. The odometer read 80,000 miles. “When it rolled in here, it wasn’t missing anything,” Bill Martin of Rootes Group Depot recalls of the Tiger’s prerestoration condition. The car even still had its owner’s manual and the original two-barrel carburetor. “And that’s like gold,” Bill says of the find. While the car was complete, he still had to make it new. The body was sent to Automotive Perfection in Redwood City, Calif., where Jack Perkins and his team stripped it down to bare metal before reapplying the Carnival Red paint. Bill notes that the original Sunbeam colors were a little on the muddy side, but Automotive Perfection nailed the hue—it should match a bowl of Hunt’s tomato soup, he adds. While the Tiger was apart for painting, Bill started to go through all of the hardware, comparing what he found against other Mark II cars in an effort to verify authenticity. “I also had to do chemical tests on the old hardware to confirm the type of finish that the factory applied,” he adds. Then he had to find someone who could duplicate the factory processes. The Tiger’s interior was a little tired after 40 years of use, but fortunately correct reproduction parts are available. Rick McLeod’s Sunbeam Specialties reproduces many of the consumable parts found on the Tiger and Alpine, including those things made from rubber, vinyl and plastic. “Rick’s vinyl reproduces the original pattern using the original rollers,” Bill explains, meaning that a new Sunbeam Specialties interior kit perfectly matches the ones fitted by the factory some 40 years ago. 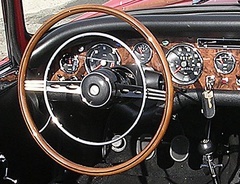 The door panels, dashpad, carpet and other soft items found inside the interior all came from Sunbeam Specialties, while Randy Keller at Prestige Autowood redid the wood dashboard face. Bill says the dash is perfect, right down to the lettering. While the seat upholstery also came from Sunbeam Specialties, Bill had to first rebuild their frames. Once the frames were back in working order, the new skins were installed by Cook’s Upholstery. Having the right documentation and resources also helped Bill keep things factory-correct. 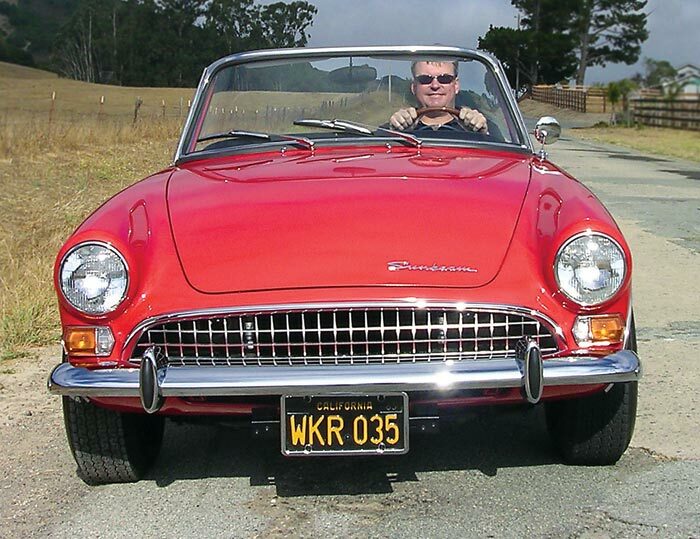 “I have everything ever printed on the Sunbeam Tiger and Alpine,” he says. While some Anglo-American hybrids have earned reputations for being cantankerous when not spinning their wheels in anger, Bill says a properly done-up Tiger is actually a mellow beast. While at first a little timid to drive the car, owner Dave Stone now takes the Tiger out for a spin when the right opportunity comes up. A year has passed since the restoration was completed, and so far no service has been needed. The car has also been shown several times and was voted the best stock Tiger at the Sunbeams International 2004 meet in Park City, Utah; it also won the show’s popular vote. I had a Tiger 25 yrs ago. I enjoyed it but only in a way that you could when you're still young and foolish. My TR8 is just so much more pracitical and reliable as a British V8 classic that I'll never get another Tiger.